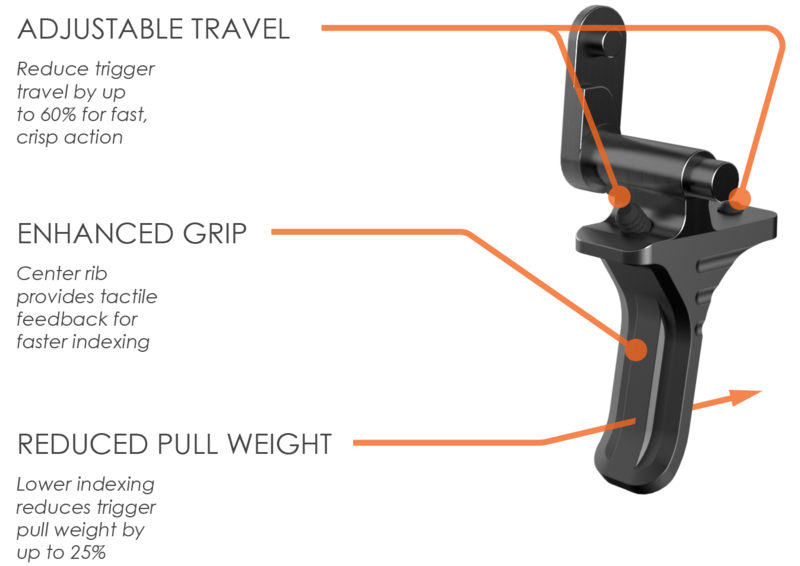 Keres Dynamics' patent pending design is the first to allow you to adjust both trigger pre-travel (take-up) and over travel. 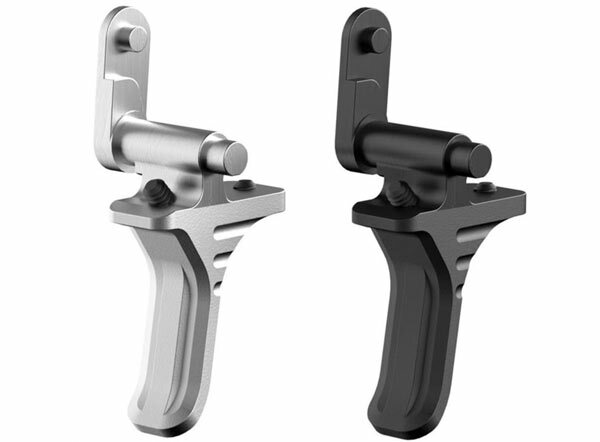 Overall trigger travel can be reduced by up to 60%, providing a short crisp trigger pull and reset. The increased leverage reduces the trigger pull by up to 25%. Our design features a center rib and curved tip to provide fast and consistent indexing. Available in Black & Silver hard anodized finish. WARNING! 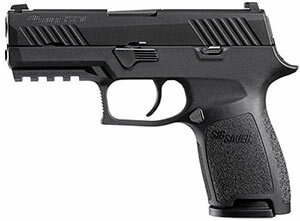 This trigger is designed specifically for P320s which have been processed through Sig Sauer's voluntary upgrade program or newer. 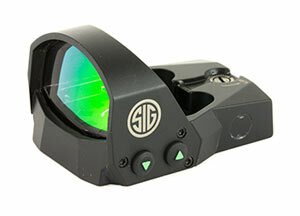 It is highly recommended that the Keres Dynamics PRO ADJUST trigger be installed by a licensed gunsmith or Sig Sauer certified armorer. Improper installation and/or adjustment may cause product failure, resulting in injury or death. It is the sole responsibility of the firearm user to ensure the firearm is in a safe operating condition at all times. Installation of this trigger may void the factory warranty on the firearm. At Keres Dynamics, we recognize a number of customers were concerned with the military drop test results of the P320. While SIG addressed the issue with their upgrade program, we wanted to design our parts to be as light or lighter than the factory upgraded triggers but with the same strength and reliability. In our research, we came upon Tennalum® 7068-T6511 aluminum. Tennalum® gives our parts greater strength than 4130 chromoly steel, but with the lighter weight of aluminum. 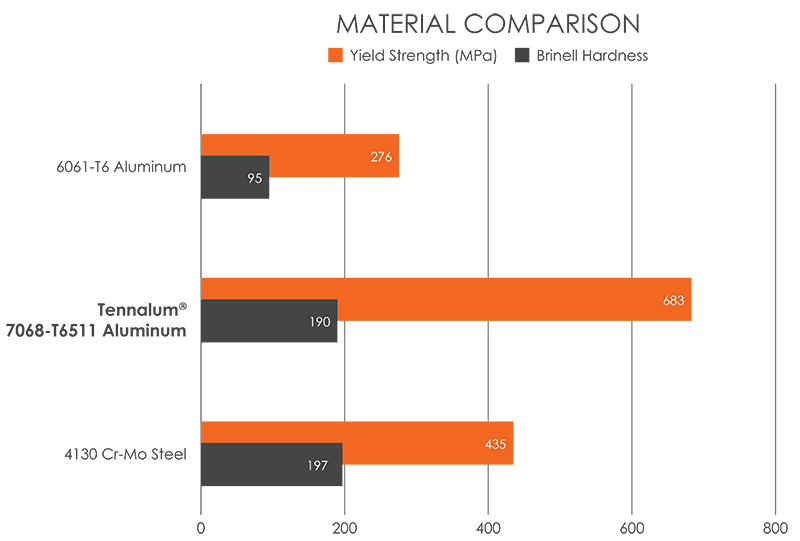 By comparison, Tennalum® is nearly 250% stronger than 6061 aluminum, but only 1/3 the weight of 4130 steel. This made Tennalum® an ideal choice to achieve our design and performance goals while maintaining the light weight necessary to meet or exceed the drop test standards placed on the P320 for service. Because of this material selection, we are able to manufacture a feature-rich, adjustable trigger that is 1/2 the weight as the factory trigger, but just as strong.